Entries tagged with "Affordable Dental Implants Brisbane"
If you have a missing tooth, you have probably thought of replacing them, and for multiple, good reasons including appearance and function. Missing teeth are probably the first thing other people notice when you smile, talk, or eat. And if you are missing teeth, it not only adversely affects the health of your mouth, but it can also cause your face to sag, cave in, and look years older. Losing a tooth is a nightmare for many. Not only does it affect your speech and eating habits, but it also can cause a drastic change in your appearance. Having missing teeth means a less appealing smile. When the patient is faced with permanent tooth loss, there are three options available: dentures, bridges and implants. Dental implants are tooth restorations surgically placed into the bone where there was a missing tooth. 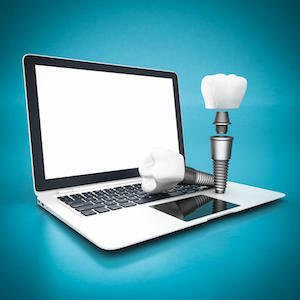 The implant is a titanium alloy screw that fills in for a tooth root, and then a dental crown is fitted onto the top of the screw to complete the procedure.